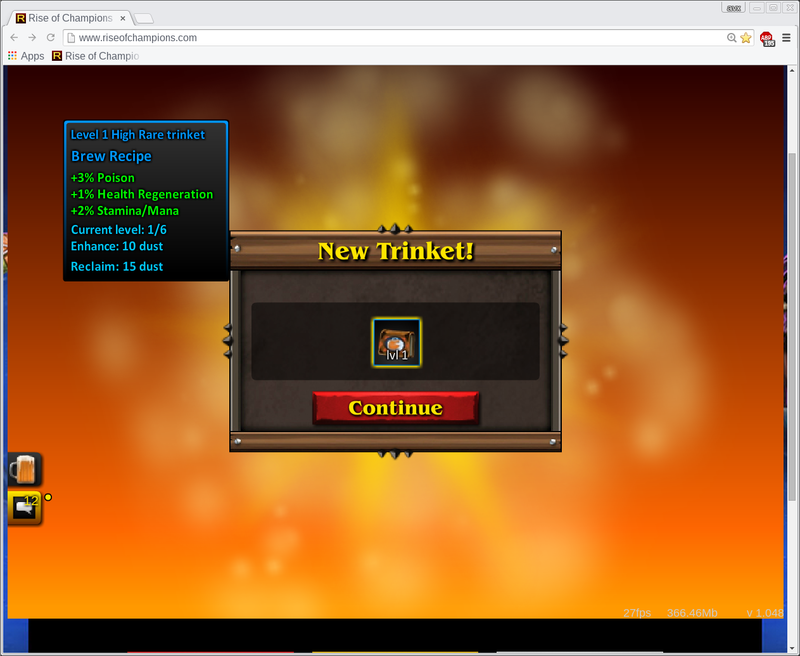 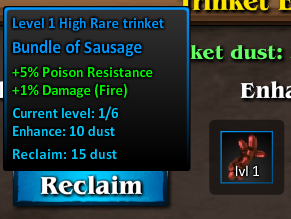 Trinkets system was implemented on June 5th 2015. 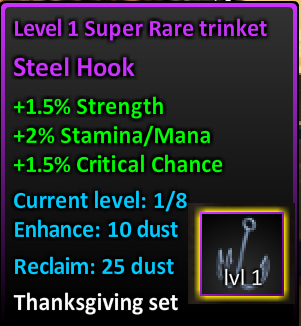 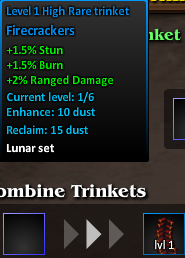 Trinkets can give additional stats with various effects and combinations. 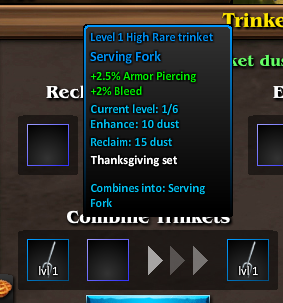 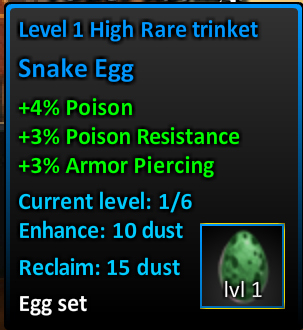 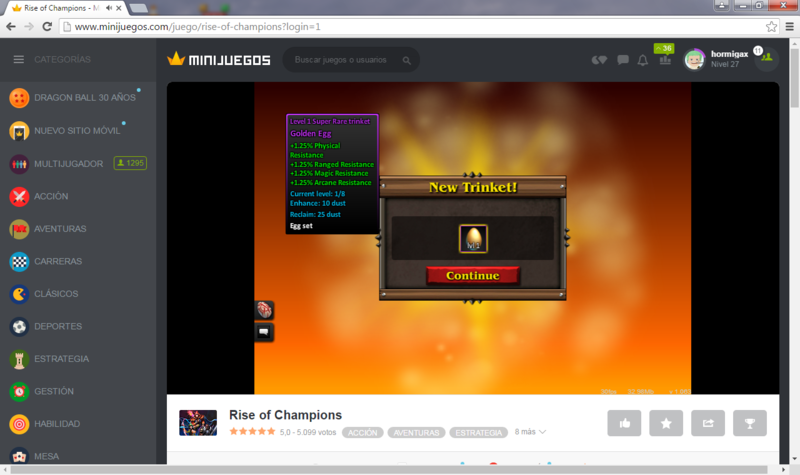 There are 5 rarities of Trinkets: Normal, Rare, High Rare, Super Rare, Epic Rare. 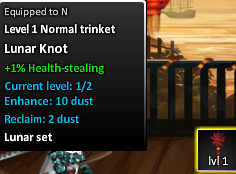 To get dust, you must either reclaim a Trinket or a Dust Trinket. 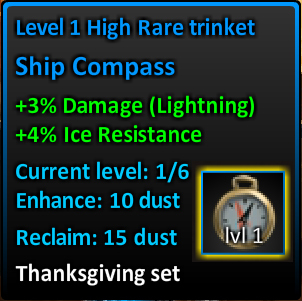 1) The ability to be combined. 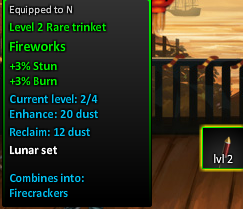 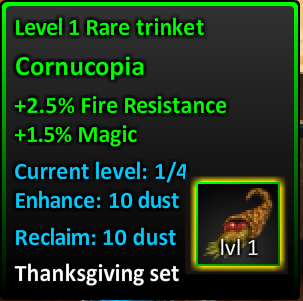 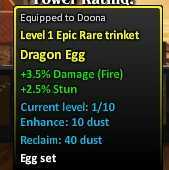 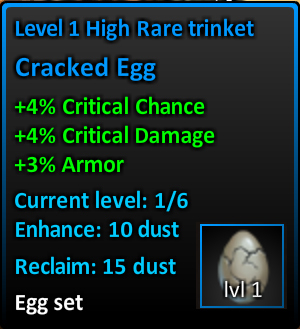 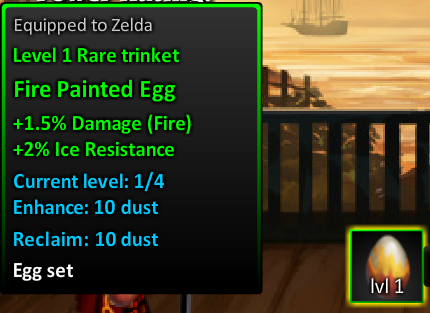 This would be indicated on the bottom of the description as "Combines into..."
2) Two of the same exact type of Trinkets. 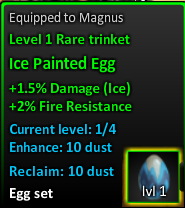 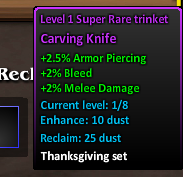 3) Both Trinkets must be max leveled for their respective rarity. 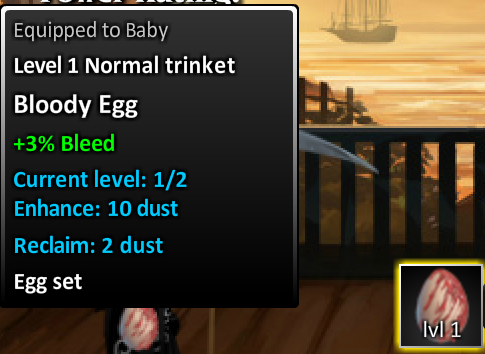 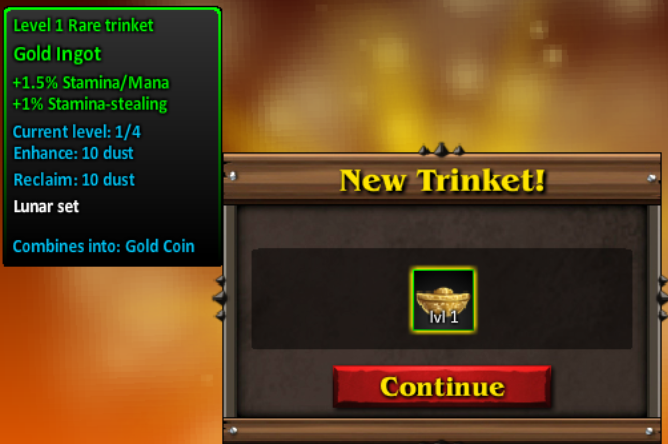 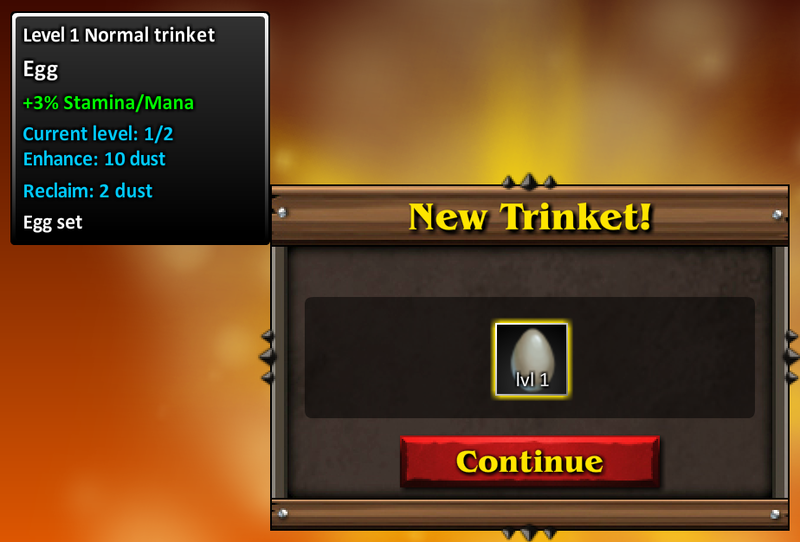 Be cautious that the combined trinkets will produce a new Trinket of level 1. 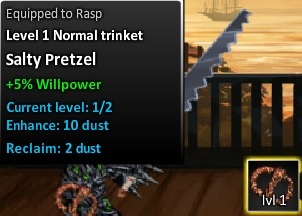 Plan before you combine. 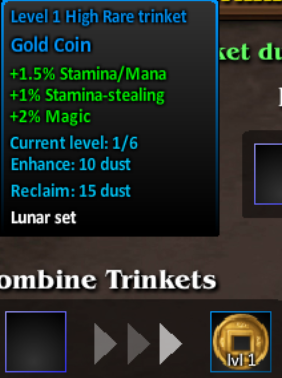 See dust for drop chance of rarity. 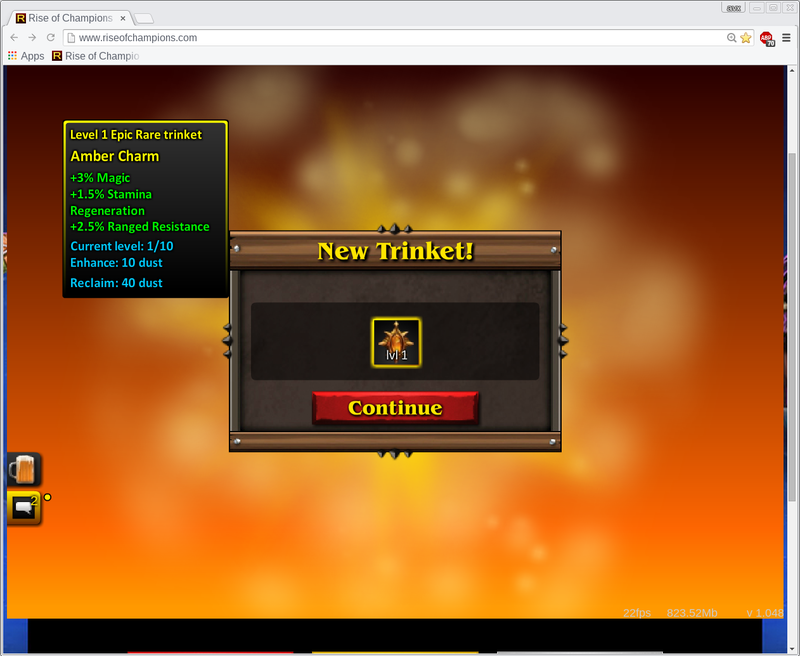 Bonfire 1 and 2 set. 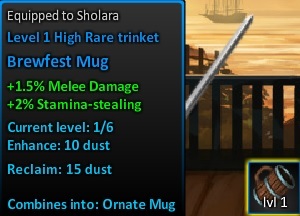 Note that this list includes trinkets from past (and current) events. 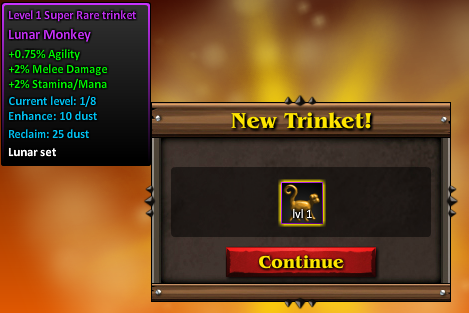 Normally you can only get trinkets from the Base Set. 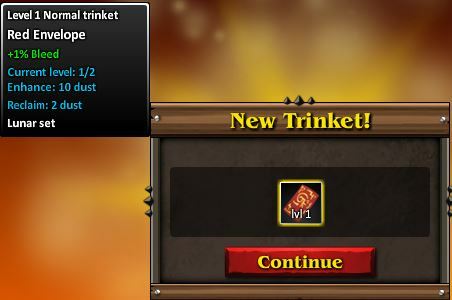 Although Trinkets from past events may return through future events, the capsules of past events can also be bought for 8 diamonds each from the Shop. 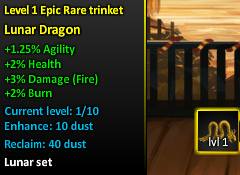 Note2: Page will be split up so each special event trinket will have own page. 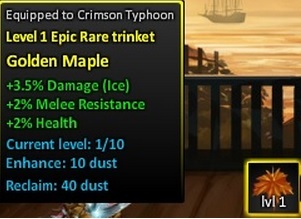 Sometime soon.